Tension headaches are so called because they cause a dull, aching pain that you may describe as a band around their heads radiating to their neck. Instead of the throbbing, sharp pain of a migraine, tension headaches are painful around the entire head and neck area. While it feels like the pain is related to tension, scientists are not certain what causes tension-type headaches, hence the name "tension-type." If you think you are having tension headaches,you're not alone as they are the most common headaches people experience. They have recently been renamed "tension-type headaches" because of the possible role researchers now believe that the chemistry in the brain may play in their origin. Close to 90% of women and about 70% of men are estimated to suffer from the dull pressure and aches caused by tension-type headaches at some time in their lives. You can have tension headaches at any age, but they generally strike during adolescence or adulthood. This sort of headache occurs most often in people between 20 and 50 years of age. These type of headaches are classified as episodic if they occur fewer than 15 days per month. If they occur more than 15 days per month for several months they are classified as chronic tension headaches. Tension headaches can last from 30 minutes to a week, and are not aggravated, unlike migraines, by lights, sounds or movements such as climbing stairs or bending over. Whether you experience episodic or chronic tension headaches, the resulting discomfort is similar, that is, soreness in the scalp, neck and/or shoulder muscles that can pair with other nuisances, such as sleeplessness, irritability and trouble concentrating. As mentioned above, the pain distribution has been described as "cape-like," in that it radiates on both sides of the head and can be felt along the muscles covering the shoulder area. After ruling out other disorders that can cause headaches, such as secondaryconditions, rather than primary headaches, your physician may prescribe a drug that is intended either to prevent your symptoms or stop them from occurring in the first place. Exercise can help treat tension headaches. Physical activity can relax muscles, thus relieving tense muscles that may trigger the tension headache. Exercise is also known to produce endorphins, morphine-like substances made by the body that can suppress pain. Touch Therapies such as acupuncture, massage and chiropractic care. 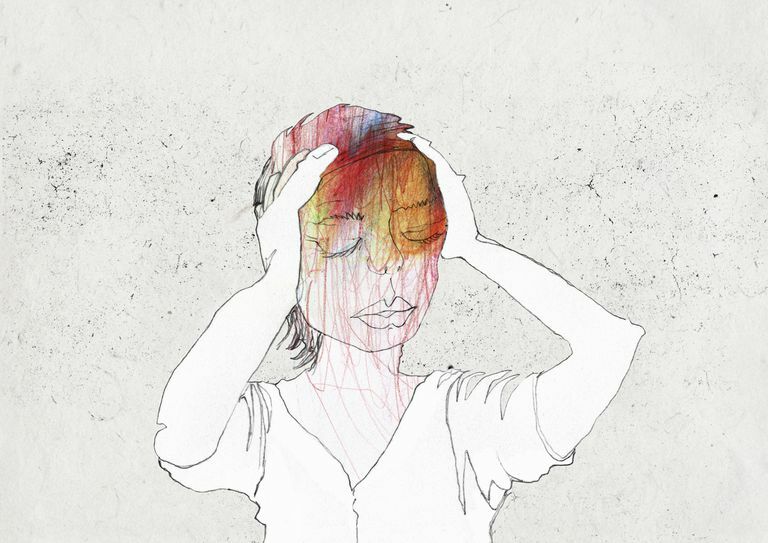 There are many possible remedies for tension headaches. Over-the-counter (OTC) pain relievers such as Tylenol (acetaminophen), Advil and Motrin (ibuprofen), and aspirin usually work well. However, physicians caution not to self-dose with OTC analgesics more than 2 days per week. The danger is that sufferers will risk "rebound headaches" that will arrive as soon as each dose wears off. All medications, including OTCs, have possible side effects to be wary of, as well. If you use analgesics, or pain killers too frequently you may experience early morning waking with headache, lack of appetite, nausea or vomiting, restlessness, general irritability, memory or concentration problems or even depression. For this reason doctor's suggest p with chronic tension-type headaches should be be screened for psychiatric problems such as anxiety, depression and psycho-social stress. If over-the-coutner drugs do not work, your doctor may prescribe tricyclic anti-depressants such as Elavil (amitriptyline), but the drug may have potential side effects, such as dry mouth, blurred vision, significant blood pressure changes and weight gain. Another class of drugs prescribe by physicians for tension headaches are selective serotonin reuptake inhibitors (SSRIs), another type of drug used to treat depression. These include Paxil (paroxetine) and Prozac (fluoxetine). Do You Think You Have a Hangover Headache?